IBAN COLLECT is a versatile service that can enhance the speed and efficiency of money collection in EUR currency using unique IBANs. How does IBAN Collect Works? eShops, airlines, computer games, software, digital content, multi-level marketing, licensed forex & gaming, financial institutions, card issuers. More and more banks in Europe are joining pan-European instant payments system, enabling money to be delivered to your account within seconds. Other options for money collections. 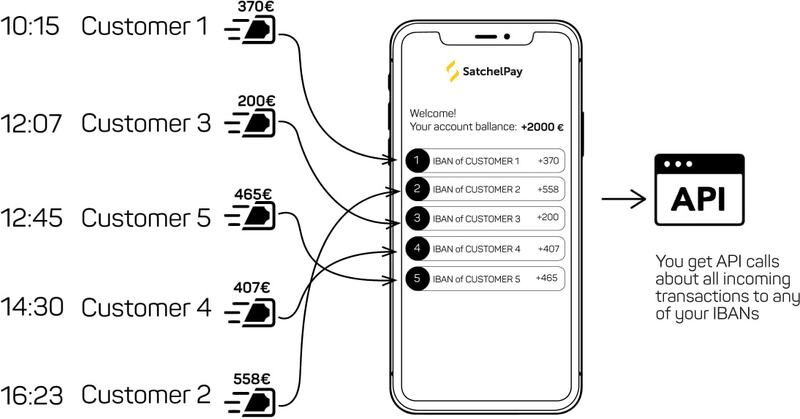 SatchelPay is a leading provider of multi-channel payment solutions with over 100 payment methods and 34 transaction currencies, giving customers around the globe the payment methods they know and trust. We collect payments through international cards, Western Union and more than 50 eWallets worldwide. Requesting a chargeback after execution of a bank transfer is problematic. Unique IBAN for each of your customers makes accounting simpler than ever before. IBAN COLLECT is significantly cheaper compared to card payments. Being a SEPA member, enables direct payment reconciliation between the sender and our client. SEPA Direct Debit – ideal instrument to charge recurring payments from your customers.